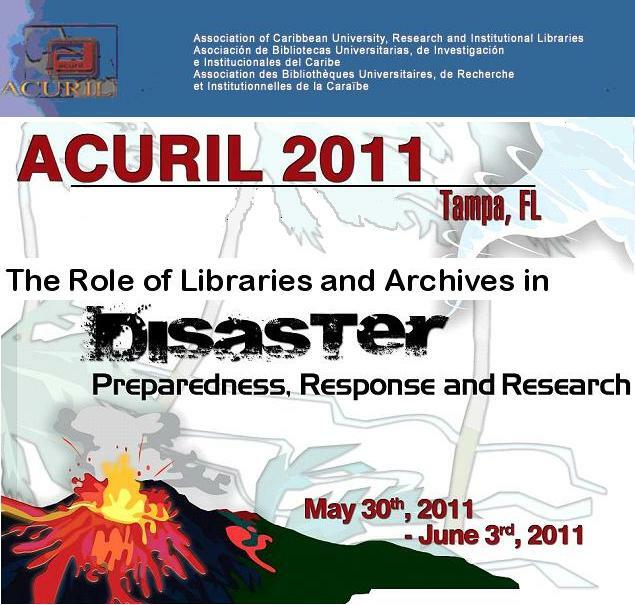 Significant natural and man-made disasters in recent years have reinforced the need for libraries and archives to be prepared for and respond to disasters. Libraries and archives must play a vital role in the protection of their collections and the accessibility of vital information as governmental and non-governmental agencies respond to the immediate needs created by disasters. Proper digitization provides a worst-case scenario preservation copy of materials that could be lost due during disasters. Digital access with remote backup provides immediate access to information about the population, the geography, laws, and many other areas vital to effective response to the disaster. During the immediate response to the earthquake in Haiti, digital copies of a rare set of topographic maps and spatial data of Haiti owned by the University of Florida provided responders with necessary geographic data. Newspapers digitized by the Caribbean Newspaper Digital Library provided information for a research study of the impact of the media response comparing Haiti and Chile. Digital libraries must play an important role in the development of disaster plans for libraries, and this panel seeks to explore the role of digital libraries in both the disaster preparedness and response.